A Santa Claus sits on top of a market stall in this photo taken in the Christkindlmarkt, which is a Christmas Market in the city of Munich. Santa Claus is known by many different names across the world and he looks different in various cultures. Santa Claus holds a little string of lights as he sits on top of one of the market stalls during the Christkindlmarkt, or Christmas Markets, in Munich, Germany. There are many Christmas Markets held all across Germany, with the large and exciting city of Munich hosting one that draws both tourists and visitors alike to start their Christmas shopping and get into the spirit of the season. Santa Claus atop a market stall during the Christkindlmarkt (Christmas Markets) in the City of Mnchen (Munich), Bavaria, Germany, Europe. 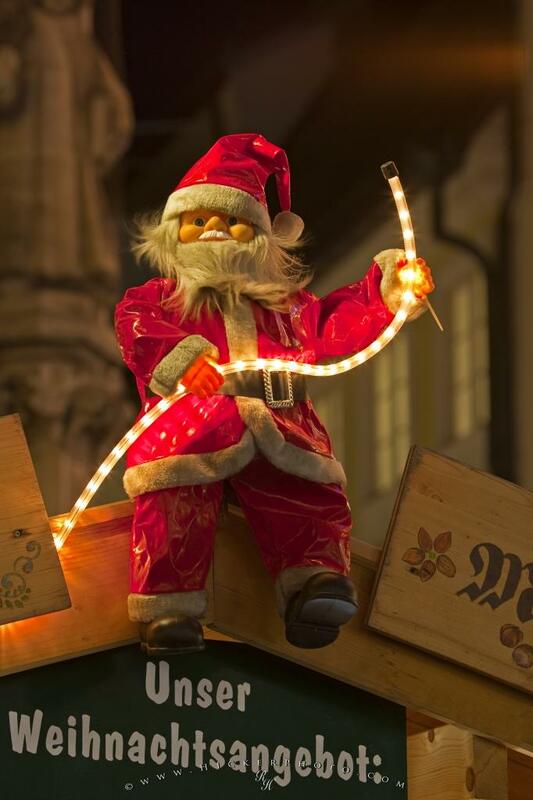 Picture of a Santa Claus atop a market stall during the Christkindlmarkt in Munich, Germany.